Pineapple juice contains a mix of enzymes collectively called bromelain, which possesses anti-inflammatory properties and can help alleviate respiratory problems caused by asthma, infection and allergies. Pineapple juice also helps to break up and expel thick and stubborn mucus that trigger coughing fits. Plus, by expelling mucus, it reduces the chances of you aggravating your throat by coughing, thus relieving a sore throat. 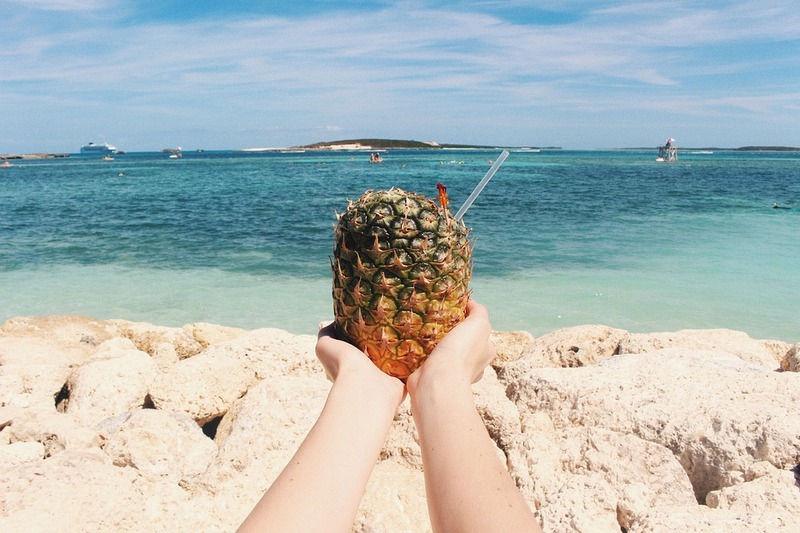 Even if you're not under the weather, pineapple juice contains a whole host of benefits, including immunity-boosting vitamin C, so drink up! 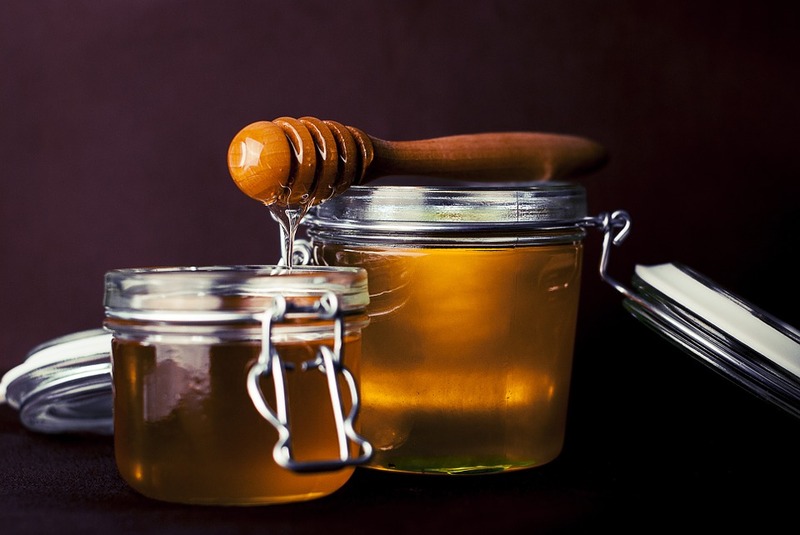 One teaspoon before each meal helps to coat the throat and has antiseptic properties - the higher the Unique Manuka Factor (UMF) rating, the greater the level of antibacterial activity. If the cough is making you feel tight-chested and congested, try adding horseradish, cayenne pepper or ginger to meals. As for whooping cough, tea made from fresh thyme can provide relief. 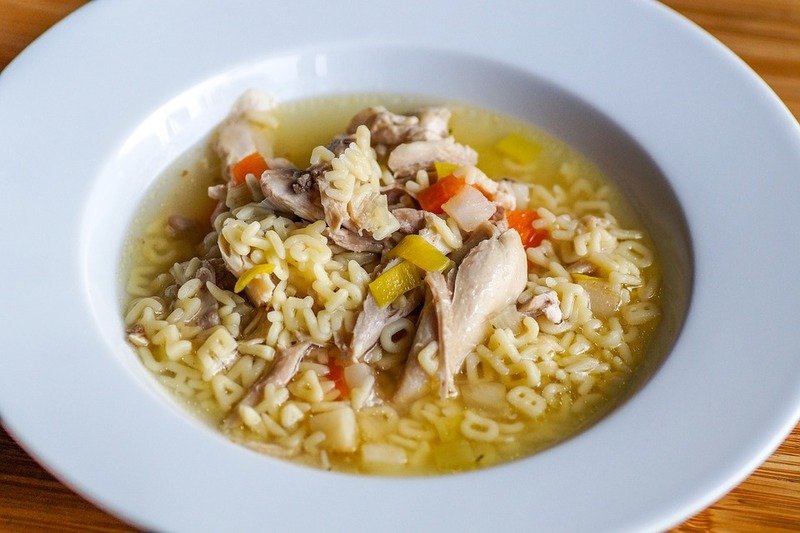 There's a reason why chicken soup has held its spot on the list of trusted remedies for colds. Boasting a host of vitamins and minerals essential for fighting a virus, chicken soup also provides the fluids and electrolytes required to keep you hydrated. Aside from its anti-inflammatory, anti-viral and antioxidant properties, a steaming bowl of chicken soup also acts as a natural decongestant because it contains an amino acid that breaks apart mucus, and inhibits the cells that cause coughing and a stuffy nose. 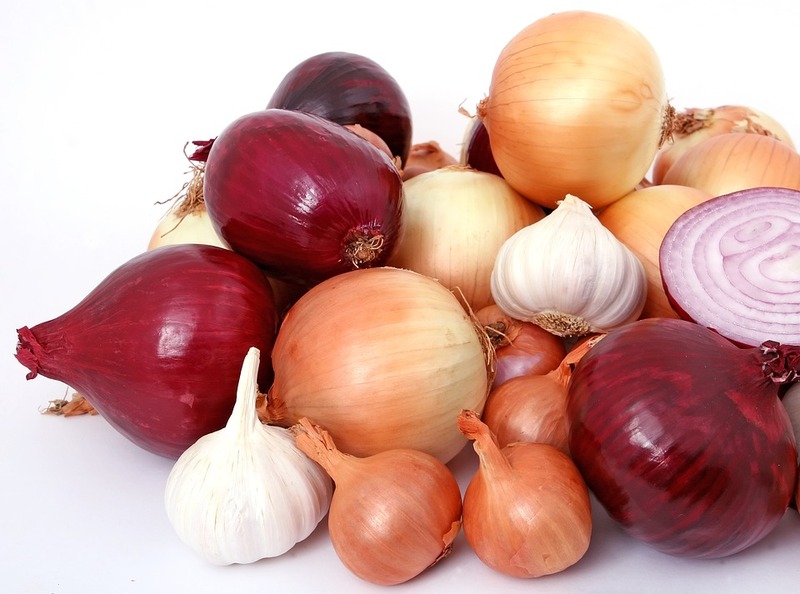 Garlic and onions are anti-bacterial and have antiseptic properties. Make a nourishing soup with six onions, a whole garlic, 2.5cm of grated fresh ginger, and some cayenne pepper mixed in a vegetable or chicken stock. You could also add lemongrass. For young children, you may have to leave out the cayenne pepper. Drink plenty of soothing lemon and ginger herbal tea. Make your own by finely chopping a 2.5cm piece of fresh ginger, then stand it in boiling water for 15 minutes with a squeeze of lemon juice and freshly chopped spring onions. Strain and sip. 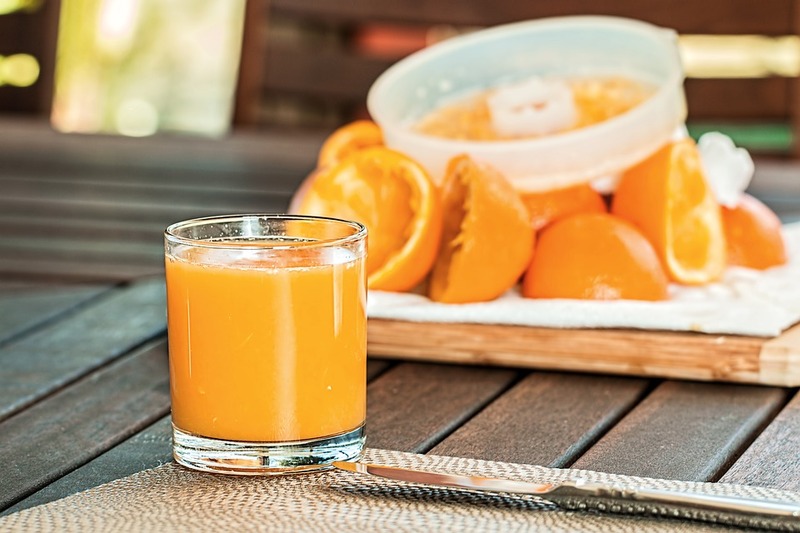 Drinking a glass of freshly squeezed orange juice every three hours is beneficial to recovering from a fever. Orange juice is rich in vitamin C and a great source of energy, enhancing your immunity to fight against the disease. Migraines are linked to food intolerances, internal toxicity and sometimes, the menstrual cycle. It can also be a sign of liver congestion. Include turmeric, which contains curcumin, and fish, which are rich in Omega-3 fatty acids, in your diet. They have great anti-inflammatory properties and Omega-3 is an anti-coagulant too, naturally thinning the blood and reducing the severity of migraines. Esther suggests eating three servings a week. Avoid mucus-producing foods such as full-fat milk, cheese, chocolate, white bread, croissants, pastries, cakes and anything that contains white flour and milk. Eat more garlic and onions. Hot curries with cayenne pepper also help clear the sinuses, as spices dilate the blood vessels and increase blood flow to the area, helping to clear any mucus. Drink plenty of freshly blended vegetable juices - especially cucumber, carrot, parsley, kale and apple, which are very cleansing. 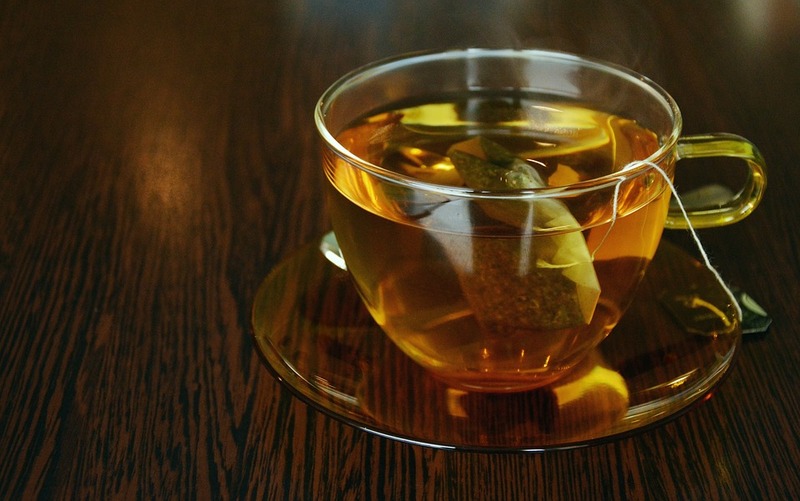 Elderflower tea can also help to reduce congestion. Pain is associated with inflammation. To reduce inflammation, bromelain, an enzyme found in pineapple, curcumin from turmeric, and Omega-3 fatty acids from fish oil are highly recommended. You can easily include these in your cooking. 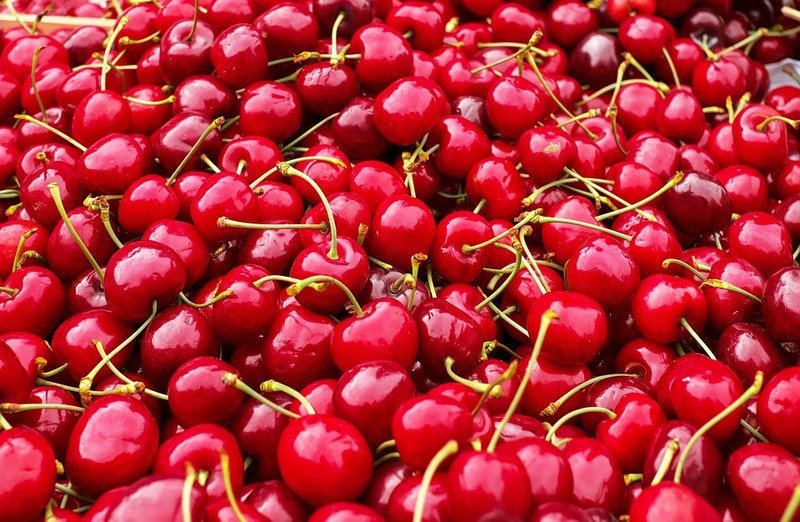 If your joint pain is associated with high uric acid or gout, cherries or cherry juice extract are best to help mobilise uric acid out of the joints so it can be excreted in urine. 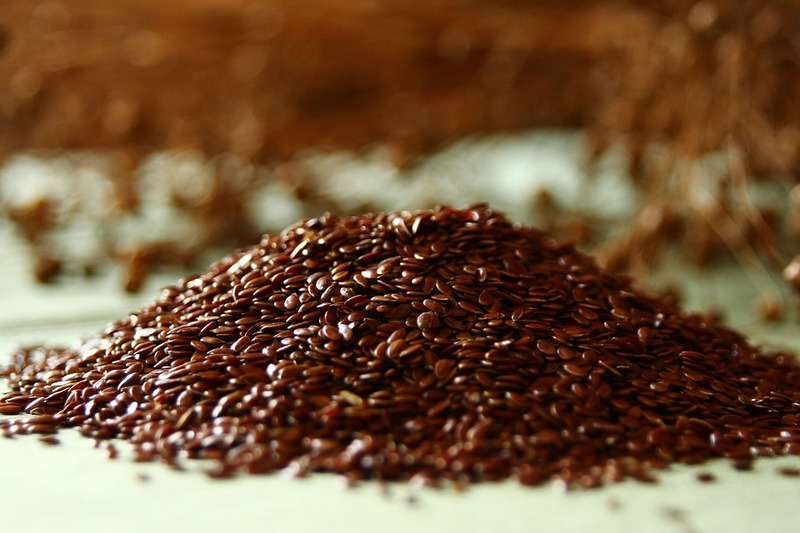 Eat at least one tablespoon of flaxseeds daily. You could swap this for sunflower, pumpkin or sesame seeds. They are rich in essential fats that are vital for healthy joints. Other than that, hazelnuts, cashews, almonds and walnuts are all great options. An easy way to eat more of them daily is to place two tablespoons of each nut in a blender for a minute then transfer to an an air-tight jar to store in the fridge. Sprinkle over breakfast cereals, fruit salads or yogurt. Consume more green vegetables that are high in calcium, magnesium and potassium, such as spinach and kai lan. They can reduce and prevent dysmenorrhea (excessive uterine muscle contractions), in addition to minimising the irritable feelings that usually accompany menstrual cramps. Dark green vegetables also contain vitamin K, a necessary substance for coagulation to prevent excessive bleeding. Try to avoid caffeine because it can increase menstrual discomfort. 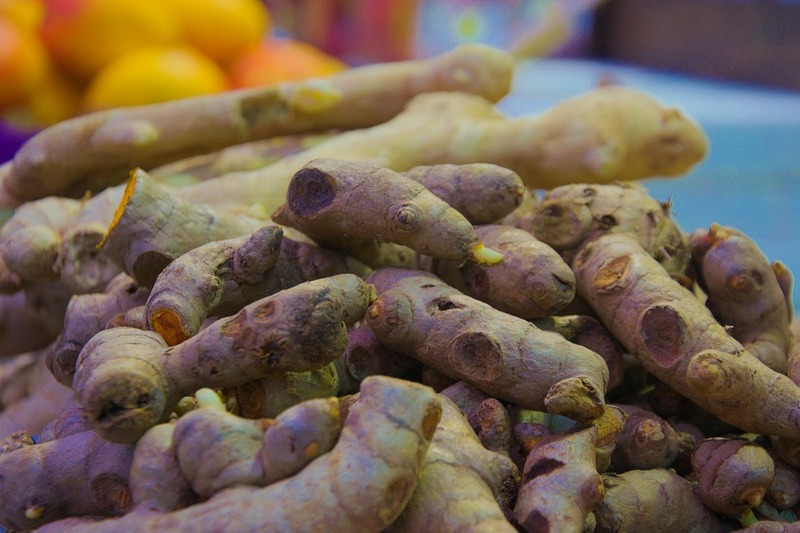 Instead, opt for ginger tea to ease nausea and bloating. Camomile tea can also relieve tension and eliminate muscle spasm, reducing anxiety during menstruation. Crush fresh sage or thyme, put into a cup and pour in almost-boiling water, allow to cool and then gargle the infusion. 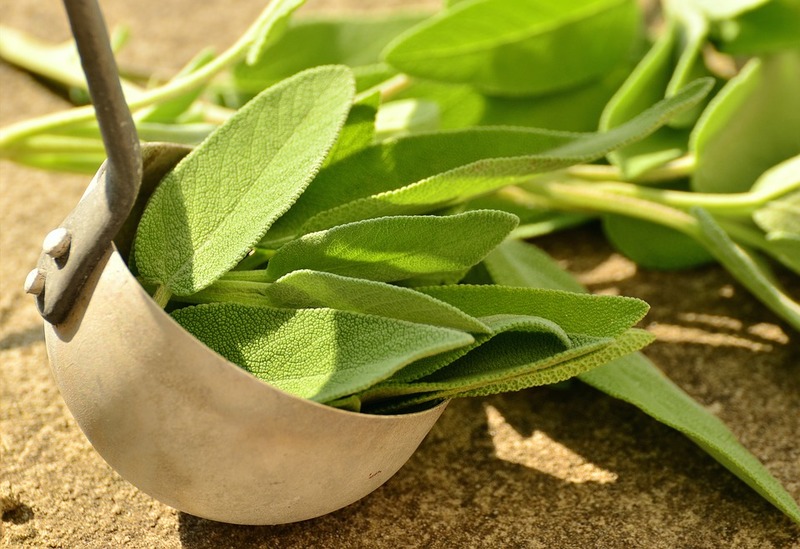 Sage is anti-inflammatory and eases the soreness. You could also consume bee propolis or use an echinacea spray, as both are antiseptic. Flaxseeds contain a blend of insoluble and soluble fibres, which bulk the stool, encouraging it to move gently through the bowel. Eat more fermented foods like yogurt, miso and tempeh. They all contain friendly bacteria that can relieve constipation. 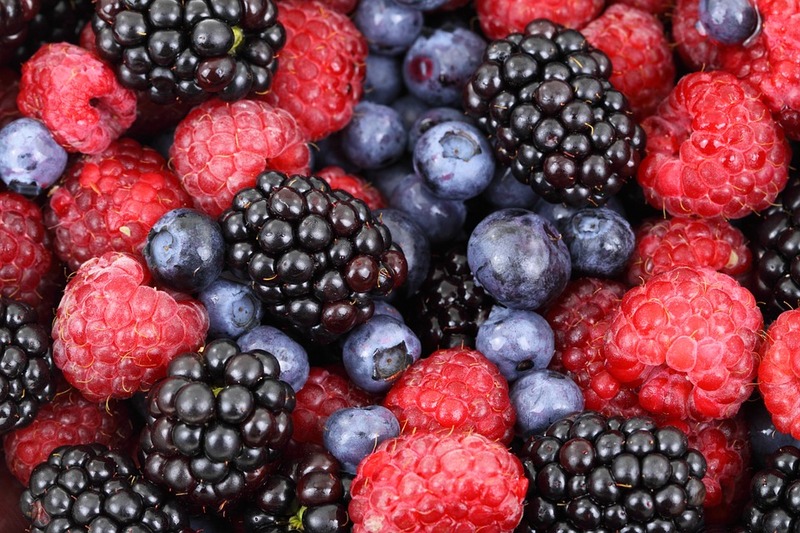 Apples, onions, fruits with a dark red or blue hue like cranberries, blueberries, and teas are main sources of quercetin. A natural antihistamine and flavonoid, quercetin helps to reduce allergic reactions. It is also present in red wine, berries, seeds, leafy green vegetables, chilli, parsley and red grapes, and is available as a dietary supplement. Eat as much fresh and organic food as possible, because they are packed with good-quality nutrients. 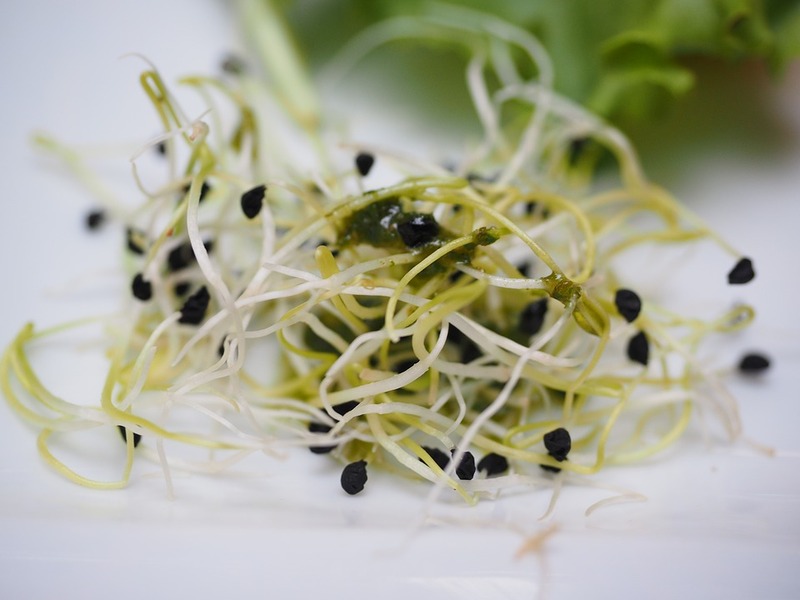 Sprouts such as alfafa, and algae like spirulina and chlorella, contain a high amount of immune boosters. Spirulina is unique as it contains the rare blue pigment phytocyanin, a powerful antioxidant that protects cells from damage. Studies have shown that spirulina activates the immune system to prevent the progression and spread of cancer cells. Serotonin is a brain chemical that the body produces to help reduce anxiety and improve quality of sleep. It is made from a constituent of protein called tryptophan. You can include more sources of B vitamins such as fish, chicken, beans, avocados and wheatgerm in your diet to boost the production of serotonin. Some people find that eating a banana an hour before they go to sleep helps them sleep longer, as bananas are a good source of tryptophan. It's also a good idea to have lettuce at night as it contains the natural sedative lactucarium, which encourages deeper sleep. But avoid having cheese during dinner, as it contains amino acids that can keep you awake.